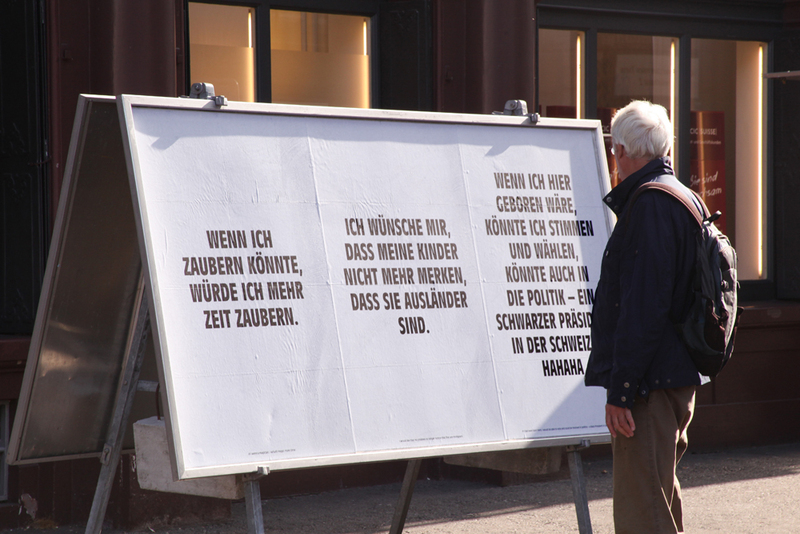 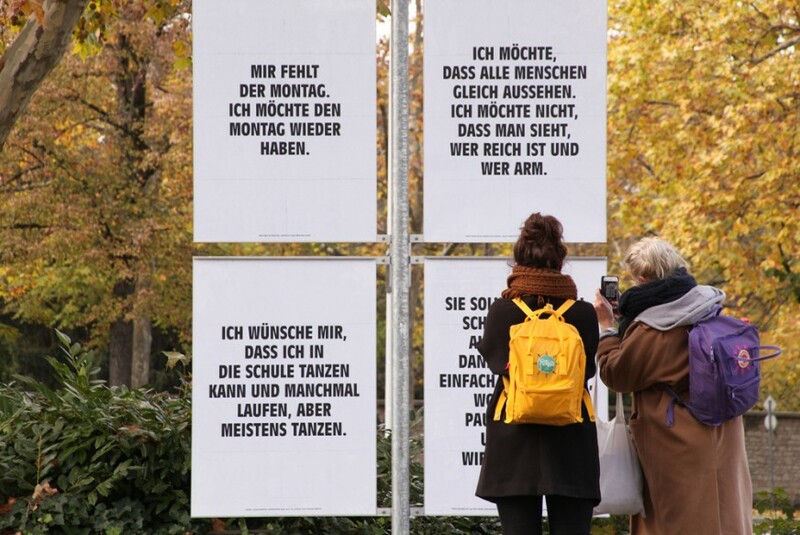 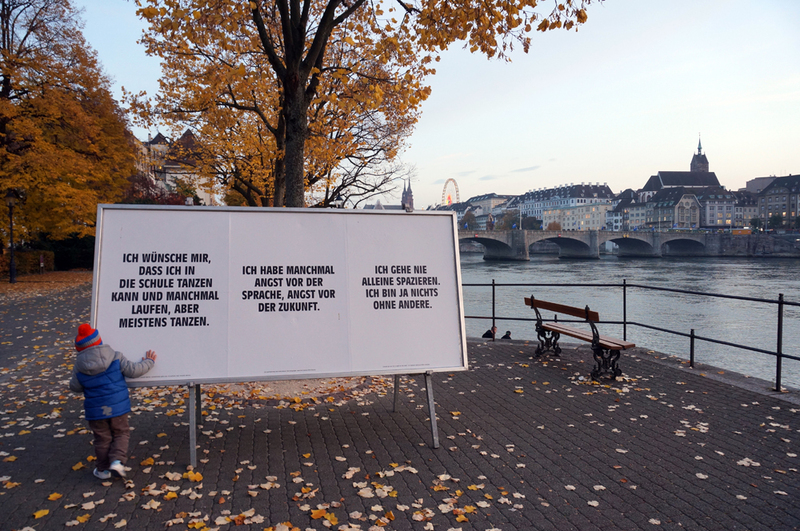 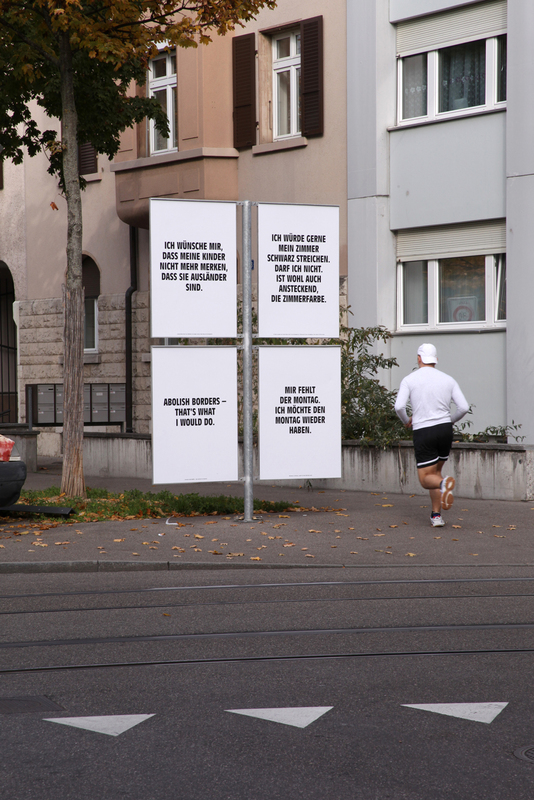 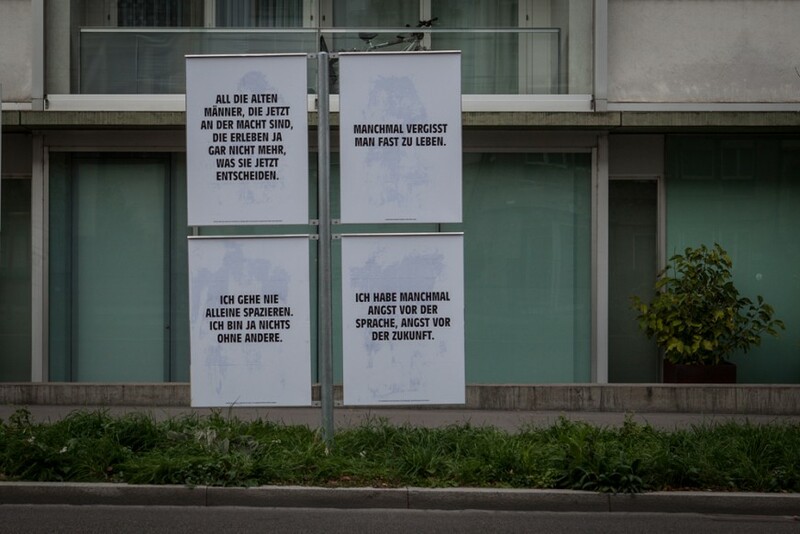 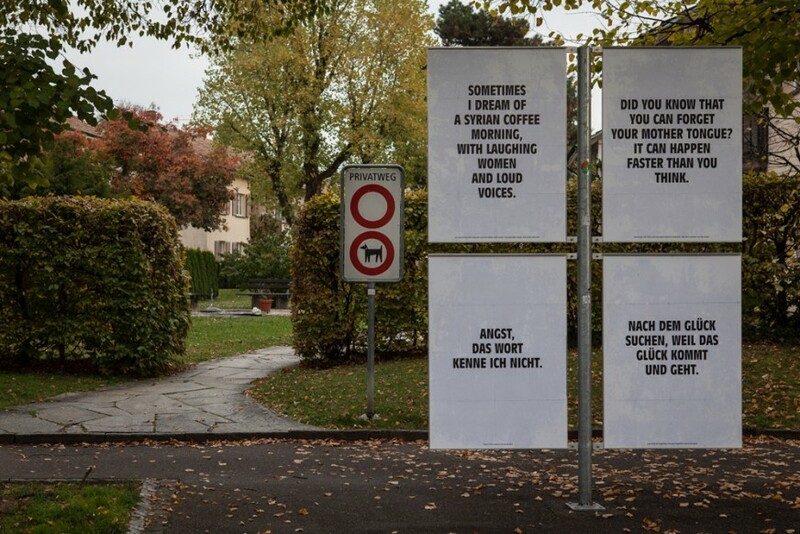 For this version of his poster project And For The Rest (originally presented in Brussels for KunstenFestivalDesArts), Etchells selected fragments from a series of interviews with residents of Basel, who for one reason or another are excluded from the voting process. Children, asylum seekers, migrants and refugees as well as people in psychiatric institutions were asked about their wishes, needs, demands and hopes for the future, focused on what they would like to change. 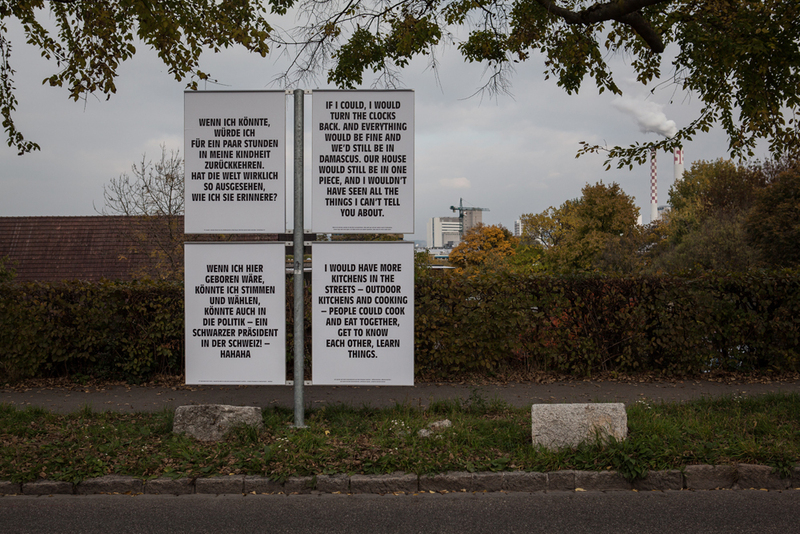 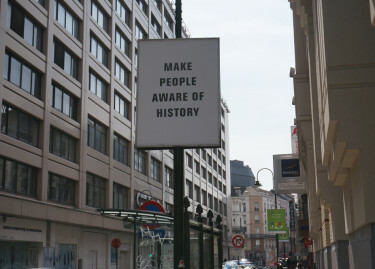 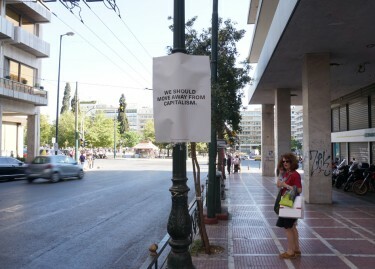 Taking short texts from the interviews (conducted as part of the project by Anina Jendreyko and Deborah Neininger), Etchells creates interventions in the city which are at the same time mysterious, confronting, poetic and thought-provoking. 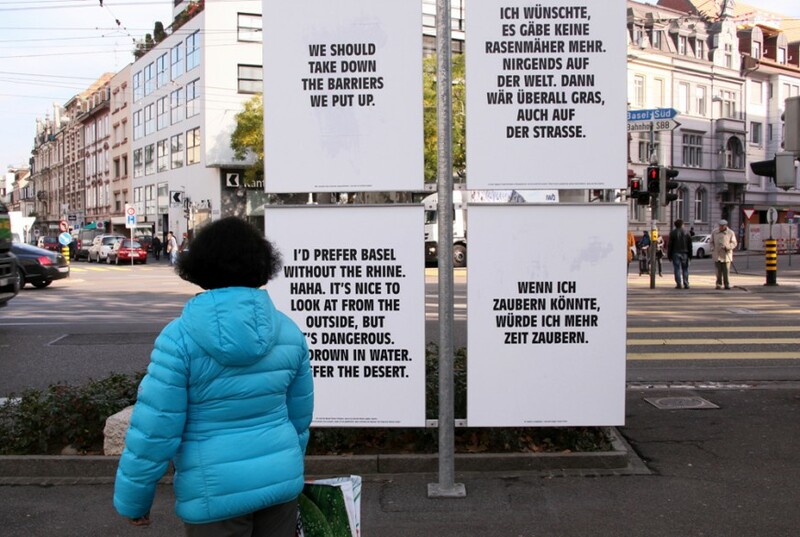 From the fantastical and implausible, to simple and concrete political demands, the statements on posters in stark black and white give an insight into the wishes of people usually held outside the electoral discussion. 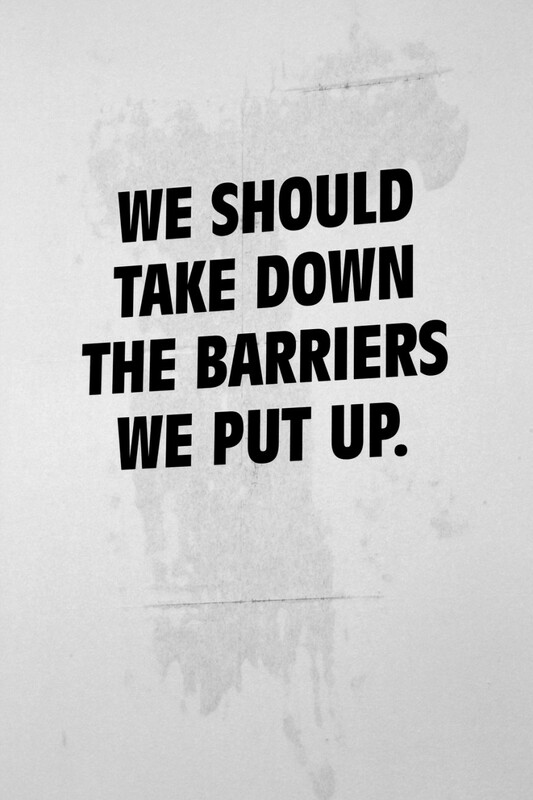 What do they wish to change for themselves and those around them? 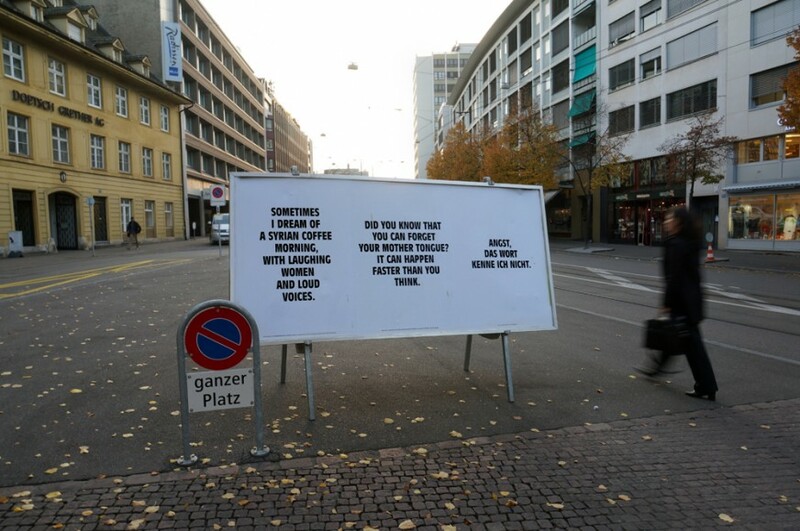 What are the things that come to their minds when they think about their lives in the city? 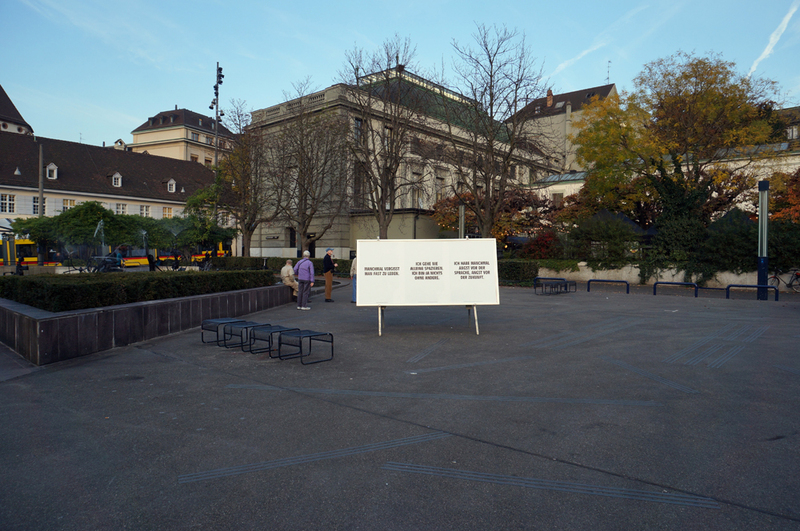 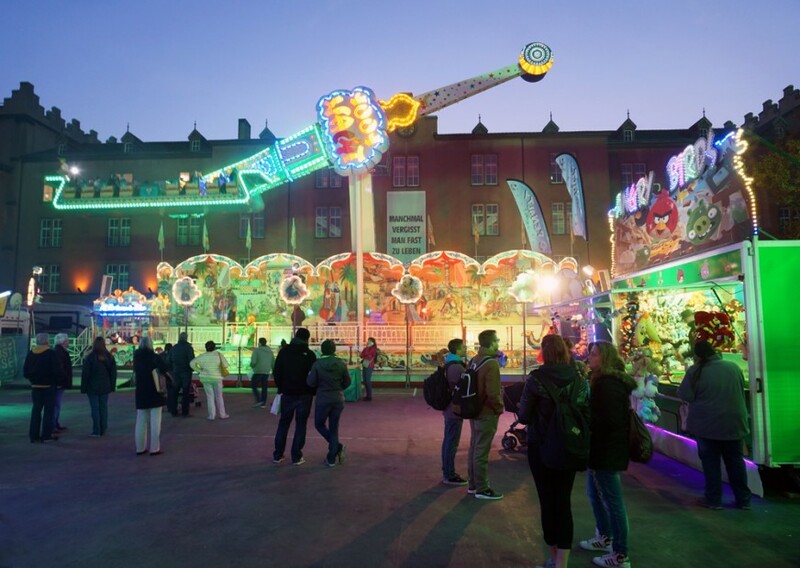 And For The Rest (Basel) was commissioned and produced by Kaserne.